South Bend Mayor Pete Buttigieg, back left, takes photos with supporters after speaking to a crowd about his Presidential run during the Democratic monthly breakfast held at the Circle of Friends Community Center in Greenville, South Carolina, Saturday, March 23, 2019. Democratic presidential hopeful Pete Buttigieg is riding in the back of a rented minivan to his last event of the day in South Carolina, munching on cold french fries and critiquing his stage performance so far. The enthusiastic crowds of hundreds who've packed his first two stops have been much larger than the 37-year-old mayor of South Bend, Indiana, and his team expected. It's "wonderful," he says, but the cheering and prolonged applause are messing with his delivery. Sometimes he neglects to pause, and his next words are drowned out. Other times people start clapping when he doesn't expect it. "I need to relearn the timing of my stump speech," Buttigieg says. "I've been used to a format where I go in, there's 50 people, I do my little spiel and then we have some Q&A and hopefully they walk away impressed. Now every one of these things we put on the calendar as a meet and greet is turning out to be a rally." But his underdog bid is gaining momentum, and the clean-cut guy known to most people as "Mayor Pete" can feel it. Now he has to figure out how to turn one of the first surprises of the nascent race for the Democratic nomination into a full-fledged presidential campaign — and one that isn't remembered as a mere quirk. "The buzz helps," Buttigieg says. "But you want to make sure that you have enough substance and enough organization that any kind of flavor-of-the-month period is something you can outlive." Besides the crowds and the cheering, Buttigieg has seen increasing national media attention, from Fox News to MSNBC and his second appearance on ABC's "The View." After a breakout performance in a CNN town hall earlier this month, Buttigieg's team says he raised roughly $600,000 from 22,000 donors in just over 24 hours. He has now received enough individual contributions to qualify for a spot on the Democratic debate stage this summer. But there's still plenty of work to do, starting with raising money and hiring staff. Buttigieg said his goal early on was to raise $1 million by the end of the first quarter on March 31, adding, "We're definitely there." He's fairly confident they'll have the funds needed for a healthy operation, at least in the early stages. But he also wants to "show well" when all candidates' first-quarter totals become public — the first time this cycle that campaigns are required to file campaign finance reports. "I think we benefit from the fact that it's graded on a curve," Buttigieg said. "No one is expecting us to raise as though I were a senator from Florida or from a big city. But we've got to show that we can compete at this level." Buttigieg also plans to double the size of his roughly 20-person team in the new few weeks, in preparation for an official campaign launch. He doesn't have an advance team - those campaign staffers who coordinate events on-site before the candidate arrives, hang campaign signs and ensure someone is capturing emails and phone numbers for every person who walks in the door. 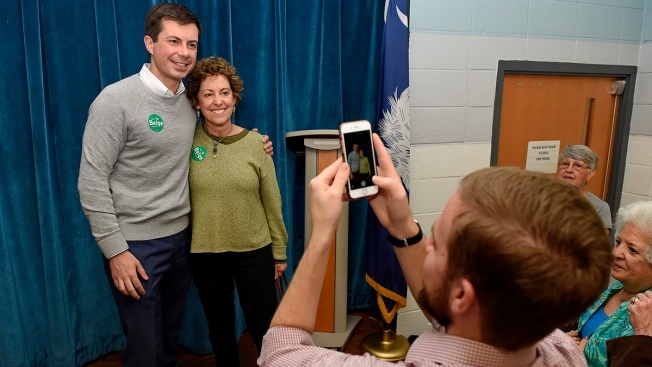 Volunteers and local Democratic officials handled most of those duties during Buttigieg's swing Saturday through South Carolina, site of the South's first primary. 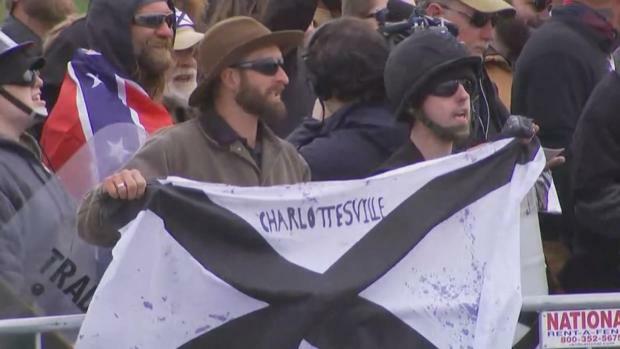 Instead of professionally printed banners, someone hung poster boards with messages handwritten in black marker urging attendees to tweet photos and video using several different hashtags and Twitter handles. When Buttigieg took questions from the crowd in Rock Hill, there were no microphones for people in the audience, forcing him to ask a woman at the back of the gymnasium to shout her question — twice — so he could hear. None of that seemed to bother voters. After his event in Columbia, Christina Goodwin, 32, called Buttigieg "exciting" and said he'd moved into her top three list, along with Sens. Kamala Harris and Kirsten Gillibrand, despite her misgivings about supporting another white man for president in 2020. Buttigieg believes he's gaining support because people are looking for something different and a more hopeful message to combat President Donald Trump. The openly gay former lieutenant in the Navy Reserve uses his stump speech to talk about how political decisions have shaped his life, and how much is at stake in 2020. He recalls writing a letter to his family before he deployed to Afghanistan in 2014 so they could read it if he didn't return. 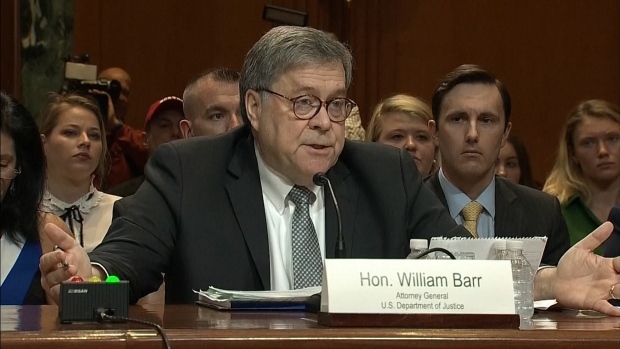 He also talks about his marriage to his husband, which "exists by the grace of a single vote on the U.S. Supreme Court" - a line that generated some of his biggest applause during his trip through South Carolina. Friends Catherine Paquin, 36, and Jonah Burrell, 37, attended Buttigieg's stop in Greenville wearing "Mayor Pete 2020" T-shirts they bought off Amazon.com. Burrell, who is gay, said it's "really cool" to have an openly gay man in the race, but it's not the main reason he's supporting Buttigieg. "That calm demeanor, the way he speaks is smart," Burrell said. "You can tell he thinks about all his answers. He's done his research." And those doubters who say Buttigieg doesn't stand a chance? "I think they underestimate him," Paquin said. Wrapping up his remarks in Greenville, Buttigieg noted that's happening less these days than it did a few months ago, when hardly anyone knew his name. "I don't know whether we can pull this off, but I'm feeling pretty good about it," he said.